Pat Chagnon sent this classic Troopers picture. The Troopers pose for the corps formal picture following a preliminary performance in Madison, Wis. 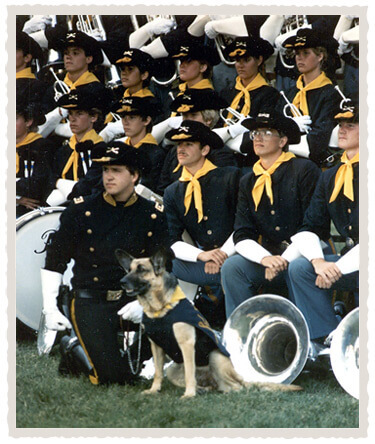 The corps mascot, Sheba, is by the drum major, Tom Walsh.